What SHOULD Mylan do about EpiPen’s Price? It has been a firestorm over the last week with consumers, doctors, and the media calling out Mylan for its price gouging of the life saving medication, EpiPen. 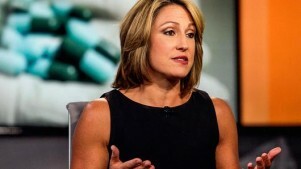 While Mylan CEO, Heather Bresch, argued that the problem is with the health care system instead of with Mylan in particular, Mylan did come to the PR table to provide further discounts to consumers. This is too little and too late, especially for the thousands of consumers who have already scrimped and saved to purchase EpiPen 2-Paks for their children to take to school this year. Nothing monetarily was provided for any family who has already made purchases. Additionally, this appears to be a public relations tool to not only stabilize their stock price (which has dropped almost 11% over the last three days), but also to quell all the media attention. Give Heather Bresch her walking papers. She has been a controversial figure with her MBA credentials having been called into question, and the EpiPen price increases were destined to be an issue if anyone had had the foresight to see the writing on the wall. Let her take the fall for this and wipe the slate clean. She has stated that EpiPen is “her baby,” so she is responsible for the price gouging. Cut the EpiPen 2-Pak price to $300, the price it was in 2013-14. With their new $0 copay card value of $300, this would allow consumers to pay nothing. It would also be decreasing the cost of the product for insurance companies portion of the prescription – which we consumers are still paying in the form of higher premiums. Make Anaphylaxis 101 a non-profit. It’s going to be difficult for Mylan to find a spokesperson now that both Sarah Jessica Parker has stepped down and Kelly Rudnicki, a Food Allergy Mama, who is a beloved figure in the food allergy world. Making the website Anaphylaxis101.org would allow for some good to be coming out of Mylan toward the food allergy community. And put a few members of the food allergy community on that non-profit board of directors! To further that thought, Mylan needs to get a PR makeover. The best way to do that is GIVE, GIVE, GIVE to the allergy community and to apologize for what they’ve done with raising the price of EpiPens beyond what American consumers can afford. Americans love a redemption story, and it’s time for the old Mylan philosophy of greed, corporate tax evasion and executive compensation packages to be burned to the ground. What can rise is a new company, with the philosophy of collaboration and innovation. Lastly, Mylan needs to take the HUGE amounts of profits that they made from EpiPen sales and put the money into research of an auto-injector product that meets the needs and desires of consumers: small, lightweight and a stable shelf life of 2 years or more. Mylan could be a hero to the Food Allergy World if they’re willing to make amends and give up their current corporate philosophy. Become the company that our children would want to work for! If not….then I cannot wait for the competition that’s forthcoming in the epinephrine auto-injector market!